Northwestern University Center for Public Safety students, course graduates, and instructors are an elite and powerful community of public safety professionals working to improve public safety in agencies and departments throughout the US and around the world. The NUCPS Community strives to offer our students and graduates opportunities to connect at all career stages. 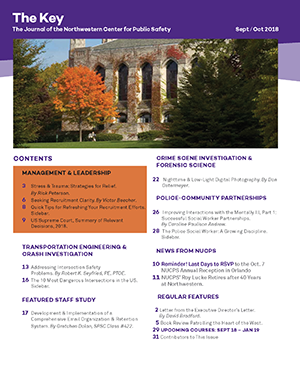 The Key is the official journal of Northwestern Center for Public Safety and is free to all NUCPS alumni and friends. The Key features law enforcement and public safety-related articles authored by expert members of our community, public safety, and related sectors. 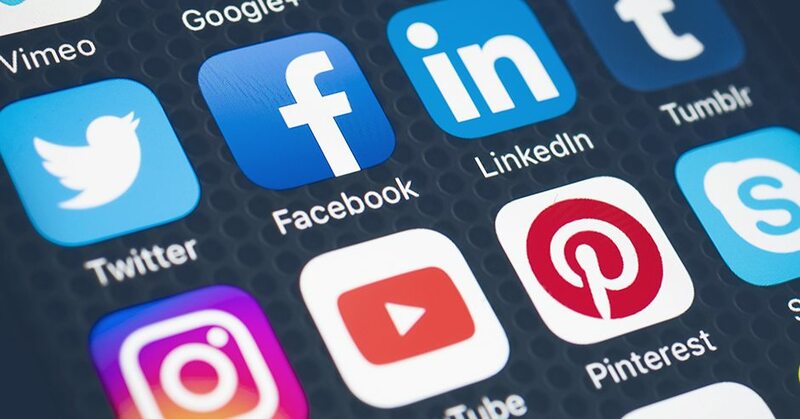 Our social media offers an easy, interactive resource for staying up to date on our classes and events -- as well as catching the latest on fellow alumni promotions, retirements, and accomplishments. In addition to the general NUCPS page on LinkedIn, we also feature a large, private LinkedIn group where NUCPS alumni can post and comment on topics relevant to the law enforcement community. Follow this link to request membership: LinkedIn Group. To receive The Key, invitations to such alumni-related events as our Annual Reception, and more, please be sure we have your current and preferred email address. You can send changes to email, agency, home address, and title / rank to nucps-alumni@northwestern.edu. Contact NUCPS Alumni Relations with questions, for help with donations, to change your contact information, or to place alumni promotions or updates into our social media newsfeeds.